141 Quilt Shops in Michigan to tempt you! 141 stores to jump start your creativity! Our current list of quilt shops in Michigan is shown below in alphabetical order by town. If I've missed your favorite store, please take a minute and let me know using the 'Add or correct a quilt shop listing' form. If it's listed and there's a correction that's needed, use the same form and I'll get those changes made right away. Your assistance keeping these listings current is greatly appreciated. Bad weather, holidays or even a really good sale, can effect the business hours for quilt shops in Michigan. ALWAYS call ahead to verify a shop's hours for the day of your visit. Your quilting time is much too precious (and gas to expensive) to make a trip to a new shop only to find it closed for the day! 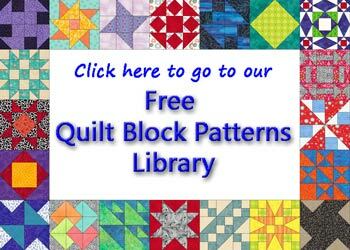 Use our list of Michigan Quilt Guilds to find a guild or add one to our online database. Is your Guild listed here? Need inspiration? Check out our Quilt Design 101 pages.